Aromatherapy for your home. Diffuse your lifestyle. How to; Diffuse your home with essential oils and create an aromatherapy environment in your own sanctuary. SHOP: EXCITE the happy diffuser blend. 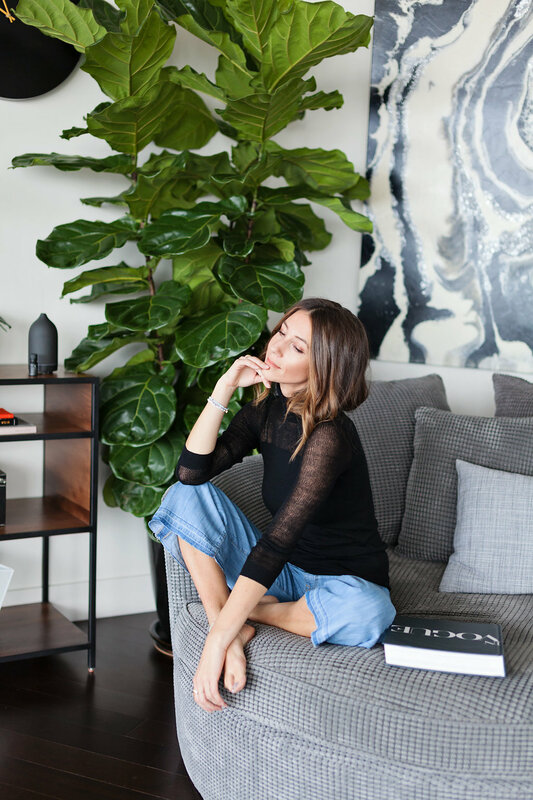 I could not be more honored to be returning as the Vitruvi Muse to launch part 2 of their home collection. 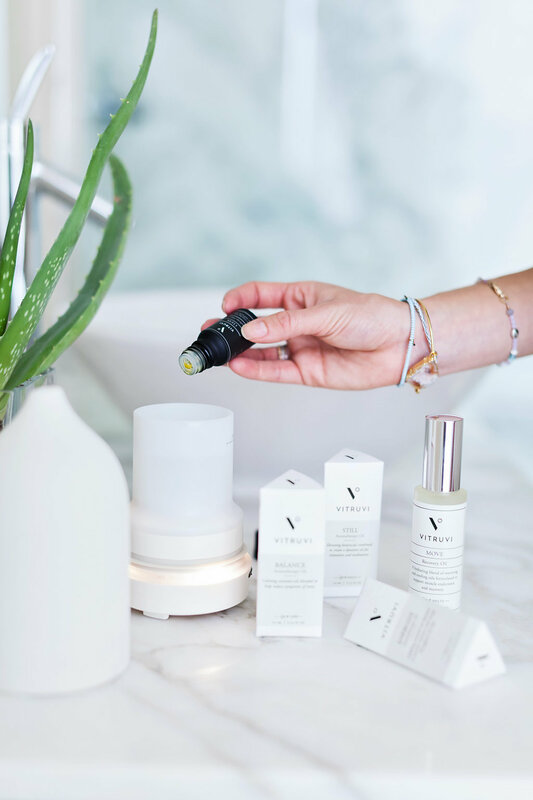 They are introducing the ultimate home edition to your daily rituals, which includes a diffuser and a collection of diffuser oil blends that basically compliment every time of the day you would want to infuse with a certain scent. I love aromatherapy because it gives me certain feelings that have created a routine that makes me feel comfort and balance throughout the day. I wake up every morning and look forward to my morning routine, not because I like waking up, but I get excited to start my morning ritual, which consists of misting my face with the WAKE spray right after sleep walking to my french press to start brewing some coffee. From today on, it will also include adding the EXCITE essential oil to my new diffuser to create an elevating scent in my room that will set the tone for the rest day. I already got to test out the EXCITE, while we were shooting and it is a fresh scent with high notes of sweet orange and fresh mandarine. These top notes are created to infuse your environment with happiness. Who would not want to start the day with that feeling, right? It is truly incredible what aromatherapy can do to your life. 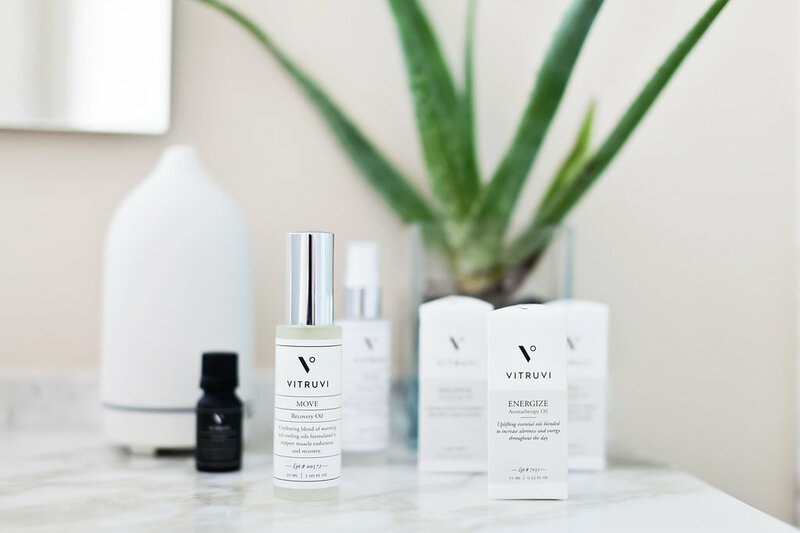 Over the last year since I started using the VITRUVI mists and roll on oils it was the first time I created an aroma therapy routine for myself. Honestly, because my life is always on the go and very few things are consistent, having something like scents to balance my day and create a feeling of comfort where ever I am is amazing. 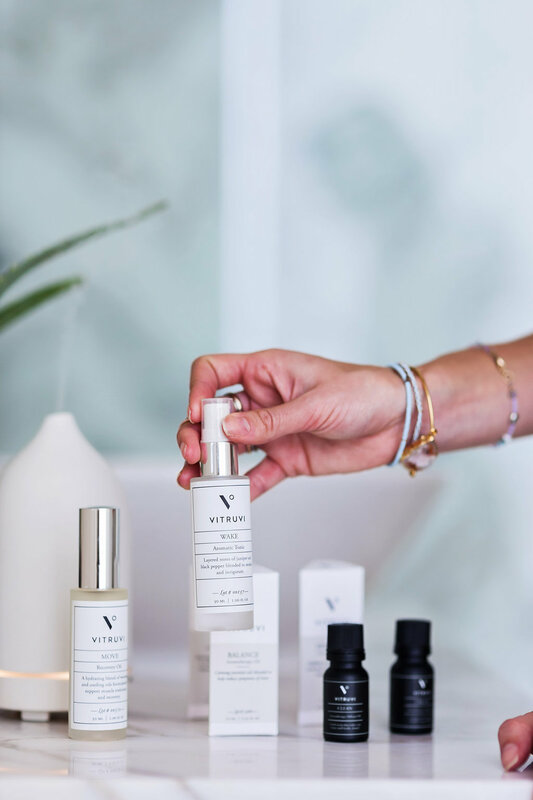 Wether I am traveling, at a hotel or going to sleep in my own bed, VITRUVI is always there, infusing my life with a calm balanced feeling of comfort. Moving on to the next part of my day, an essential moment in the afternoon where I need to recapture my focus on work. 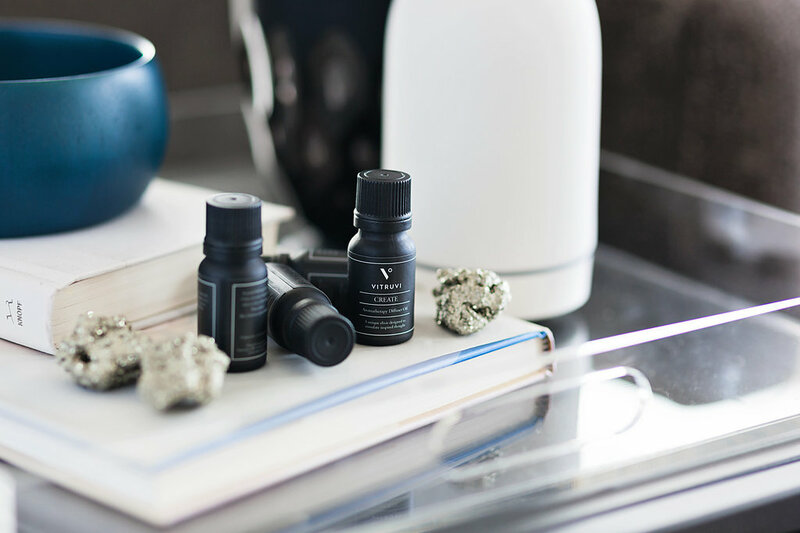 Thanks to VITRUVI, I found a way to refocus by simply by switching up the scent in my home office! The CREATE oil for the diffuser is the perfect blend to switch my brain back to being focused on productivity. Along with the CREATE home scent, I spritz a little bit of the FOCUS spray onto my face. Eyes closed, mouth closed! In addition, I make myself a ginger lemon tea and sit back down. With a new energy for the end of my work day. Et voila, another crucial point in my day where aromatherapy comes to the rescue. Everything about aromatherapy rituals has promoted a healthier more focused, relaxed and comfortable life style for me. It has made me focus on rituals that go beyond scents, that now include taking the time to cook home made healthy meals and even a new work out routine. Anyway, healthy routines are good for creating balance in your lifestyle and I am all for this one. 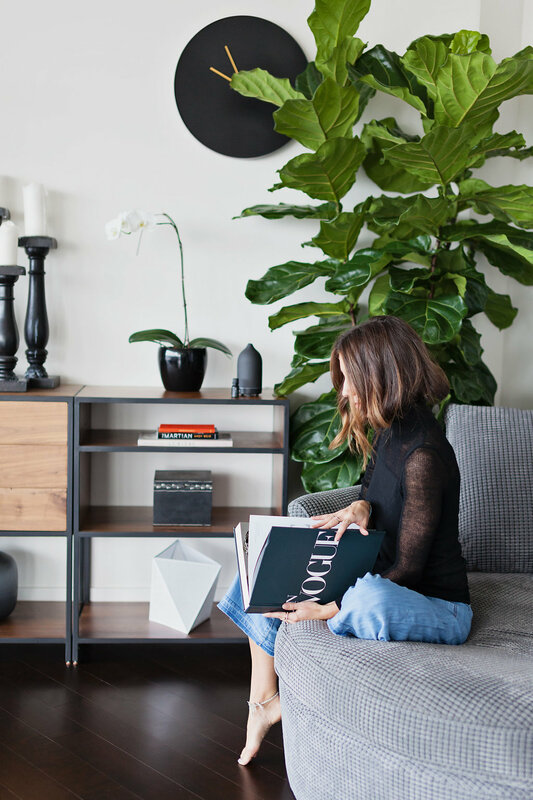 Set up your diffuser somewhere that you spend a lot of time, like your bedroom, home office, living room or den. Decoratively it immediately elevates not only the feel but also the aesthetic of a room. To start your aromatherapy experience I suggest the sample set of oils. Which today, with purchase you will receive for free, as well as 15% off your next purchase, which you will appreciate once you are addicted. Fill the diffuser with the instructed amount of water and infuse it with 10-15 drops of the essential home oil. Now just turn it on and it that will fill your environment with a fresh scent of whatever oil you chose. Consistently use the same scent at a certain time of the day that will automatically create a ritual. When its time to kick back and relax, read a book or recharge use the RELAX oil. Before going to sleep, infuse your bedroom with the SLEEP scent. I still add the roll on oils on my pulse points and also just learnt that rolling it in my hand and then covering my mouth and nose and breathing deep 3 times, is incredibly amazing.